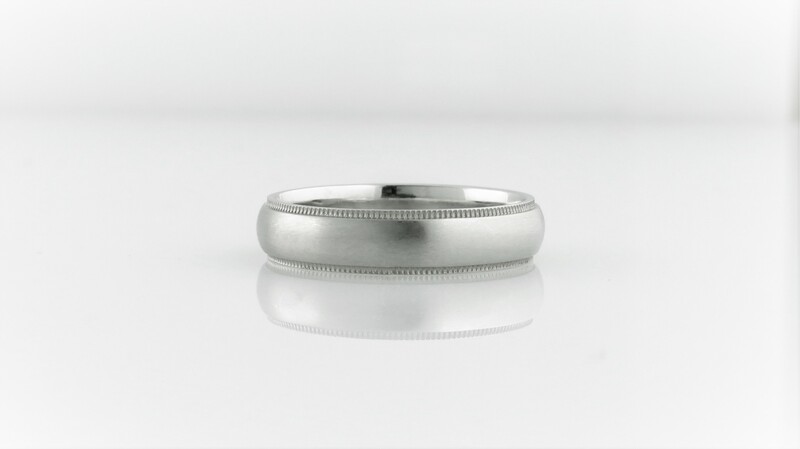 ADCO Diamond | 5mm Wedding Band with Satin finish and Milligrain Edges. 5mm Wedding Band with Satin finish and Milligrain Edges. 5mm comfort fit wedding band with satin finish and milligrain edges. Size 10. Polished wedding band with milligrain edges also available. Please contact for us for different finger size and price. Also available in 18kt white or yellow gold.